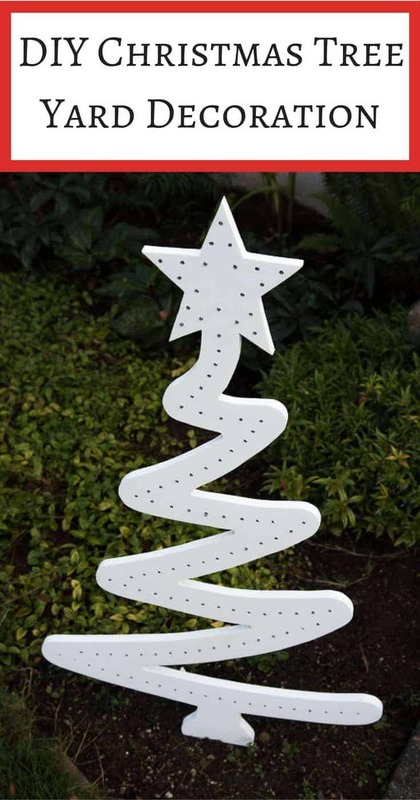 Brighten up your yard for the holidays with this DIY Christmas tree yard decoration! 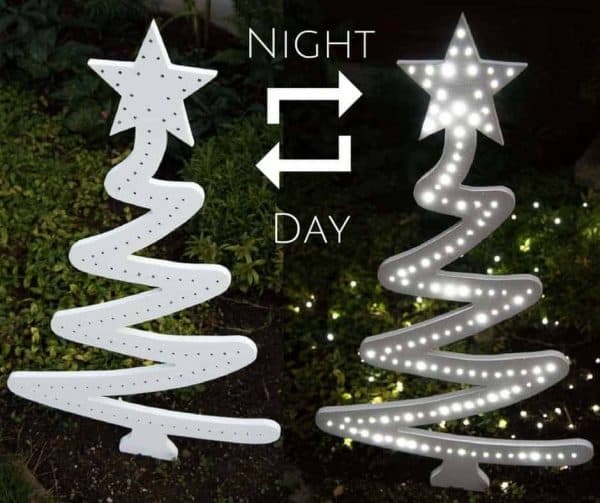 This modern take on the typical Christmas tree lights up at night and looks beautiful in the daytime too! 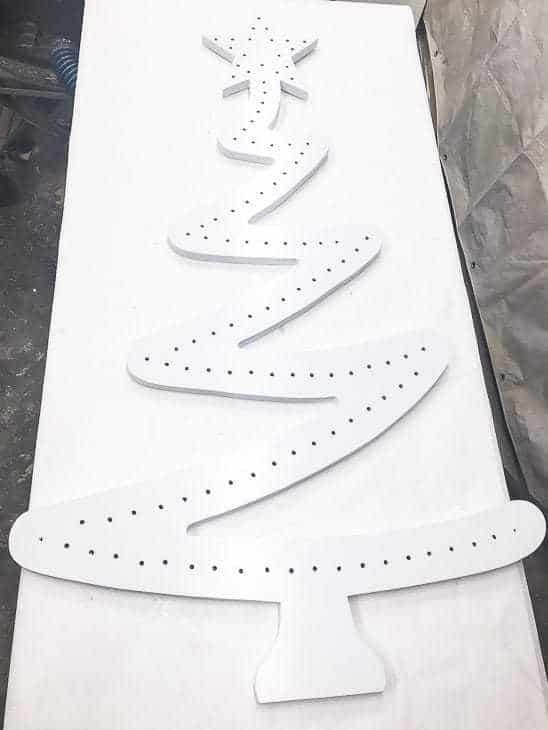 Want to create your own outdoor Christmas tree yard decoration this holiday season? 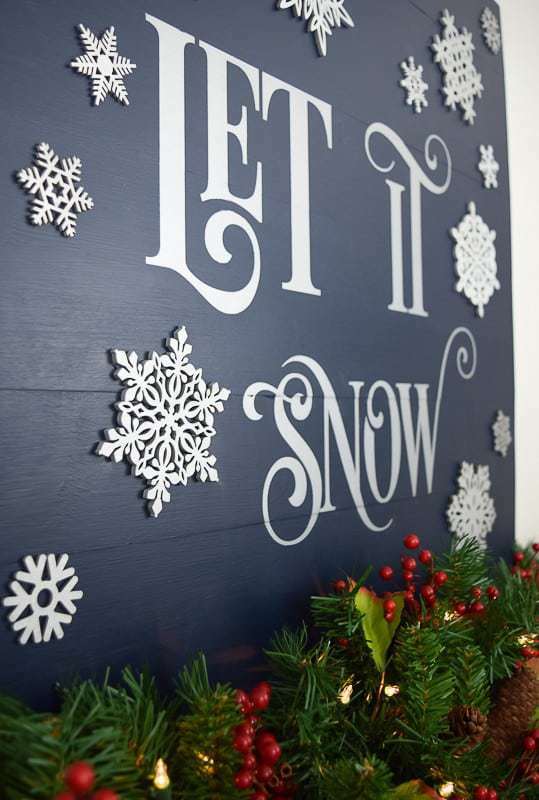 This modern version, made with 3/4″ plywood, might be just what you need to bring your house from bah humbug to bright and cheery! It was so much fun, we did it again! This year, it’s the 12 Days of a DIY Christmas, and my project marks the halfway point at Day 6! You can find all the project links here. My contribution to the series is this Christmas tree yard decoration! The front of our house doesn’t have any electrical outlets (crazy, right? ), so I used these battery operated lights. This was my first time using a woodworking pattern, but it was really easy! The Winfield Collection website has lots of cute projects, with full paper patterns of every piece. I can barely draw a stick figure, so it’s nice to have the artistic part done for me! 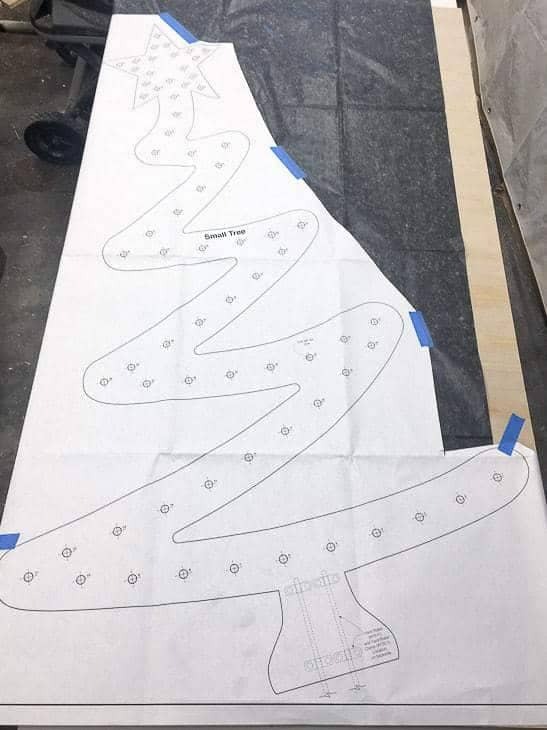 Place a sheet of carbon tracing paper between the plywood and the paper pattern. Tape both down to the plywood with painters tape. 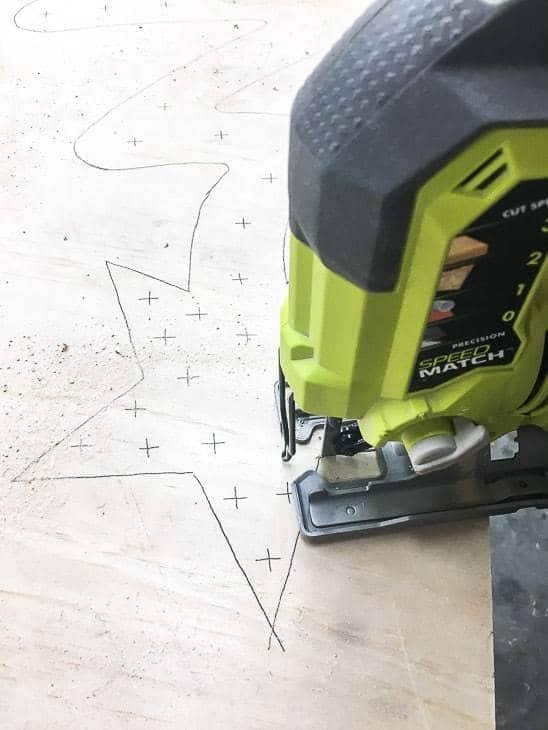 Trace the entire pattern onto the plywood, including the spots where you’ll drill holes for the lights. 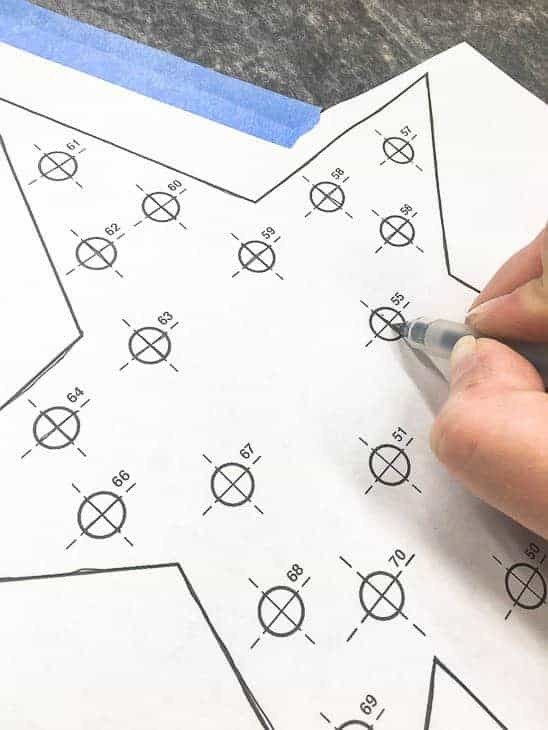 Remove the tracing paper and pattern. 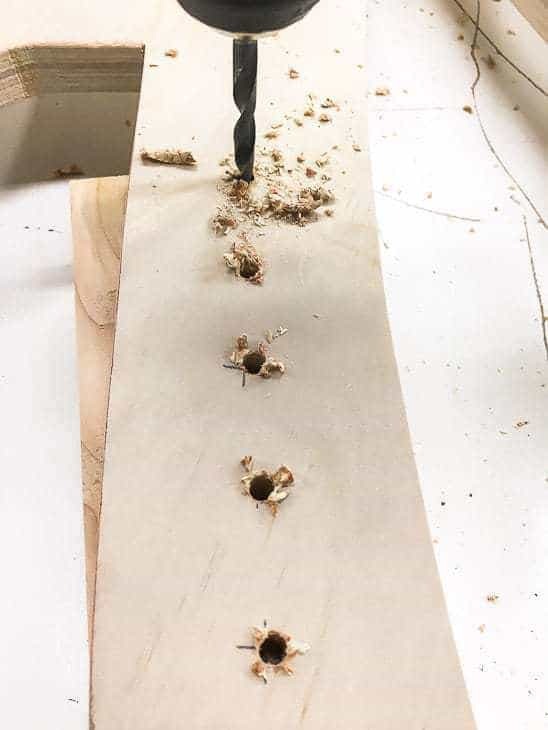 Elevate the plywood above your work surface with scrap pieces of wood so you don’t cut into the surface. Then cut out the tree with a jigsaw. My string of lights had 200 bulbs, so I decided to add extra holes for an even brighter outdoor Christmas tree display! The original holes were 2″ apart, so I marked an additional one in between at 1″. Test drill bits to see which one fits best with your light bulbs. The 7/32″ bit worked perfectly with my mini bulbs. 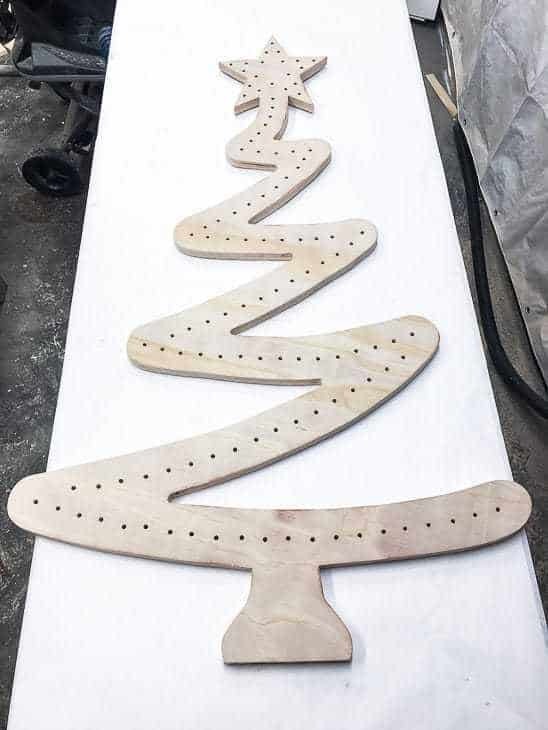 Then drill holes through each marking on your tree. Sand down all the rough edges. I used these sanding sticks to clean out the holes for the bulbs. Now, we paint! Be sure to use outdoor paint for this project, to protect the wood from rain or snow. I went with the same white paint as our outdoor storage bench, which has survived several wet winters. 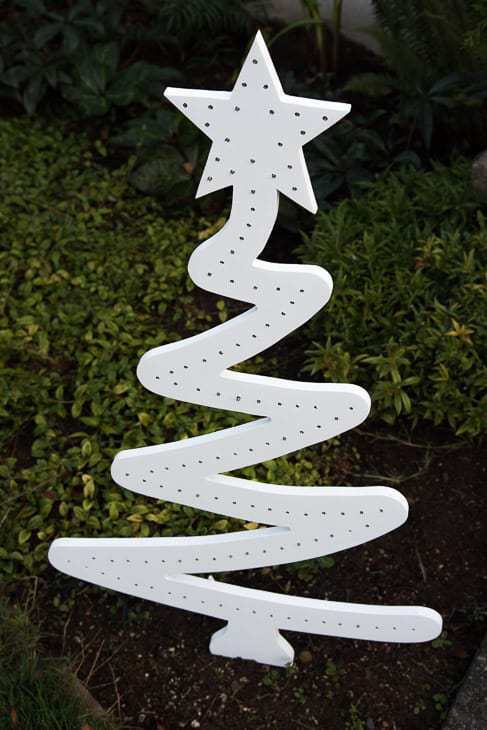 Once the paint is dry, insert a bulb into each hole, starting at the top of the tree. 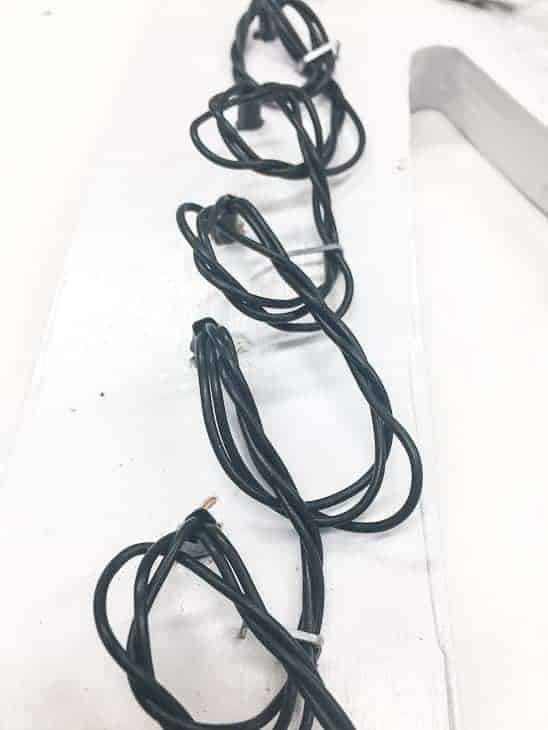 It looks like an electrical mess on the back, so plan to place your tree in a part of the yard where you can’t see all the wires. At the bottom of the tree, attach two tent stakes to the back with conduit straps. 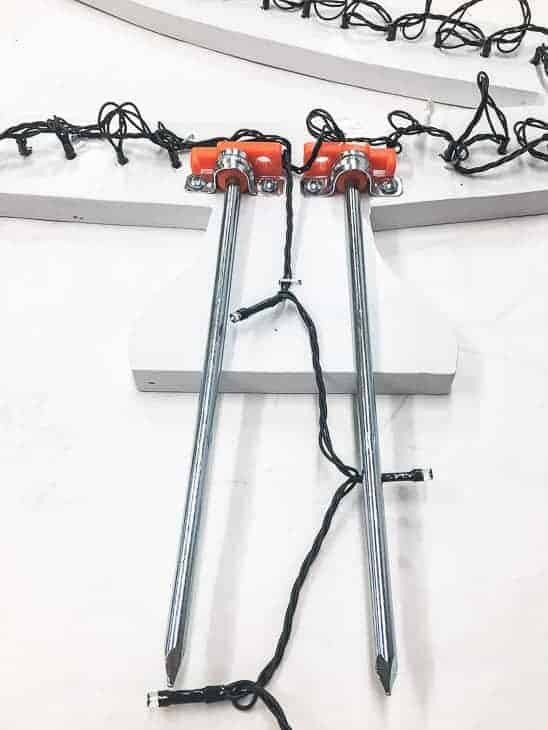 This type with the T top fits perfectly in the 1/2″ conduit strap and keeps the Christmas tree firmly in the ground. 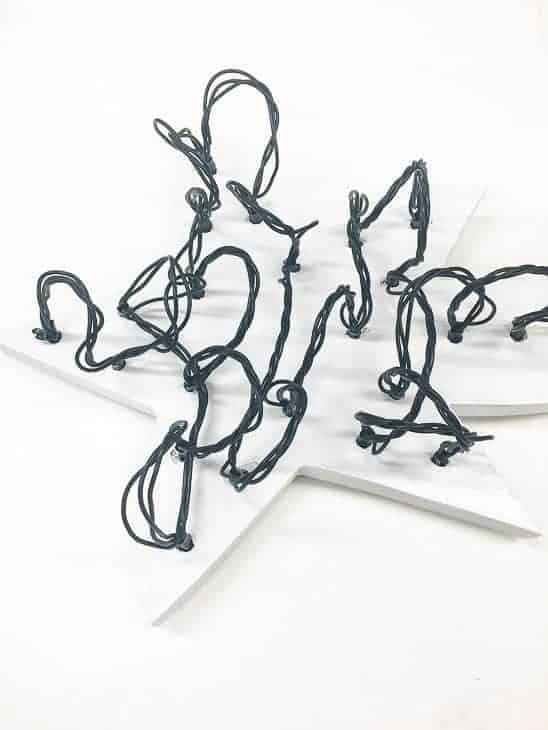 Now your Christmas tree yard decoration is ready to go in the garden! 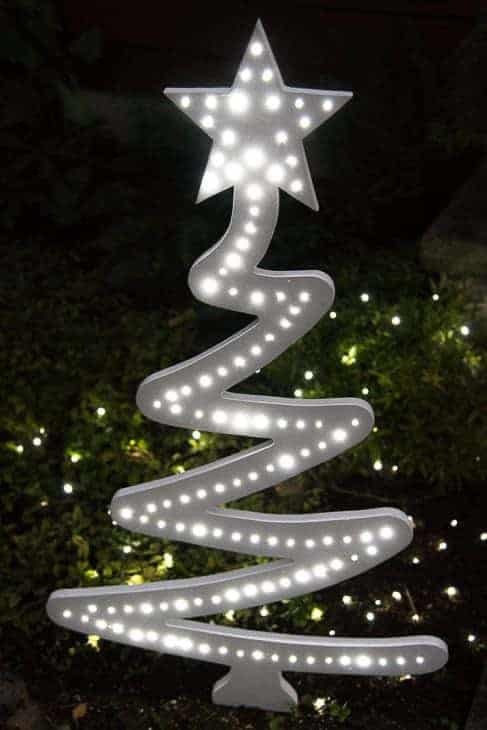 Mine is displayed right by our front steps, and brightens up our walkway with its twinkling lights. 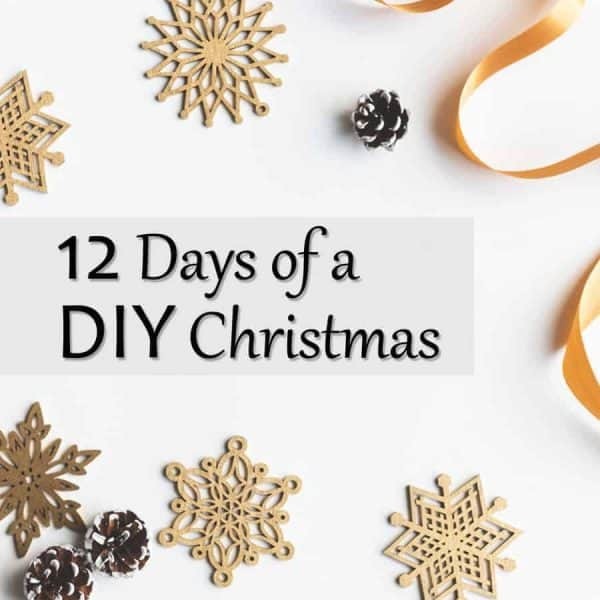 Be sure to check out all the projects in the 12 Days of a DIY Christmas series! Cristina from The Painted Key is up next, and I can’t wait to see what she came up with! If you would like to keep up to date with my latest posts about DIY projects, woodworking and more, you can follow me on Facebook, Pinterest, or Instagram. 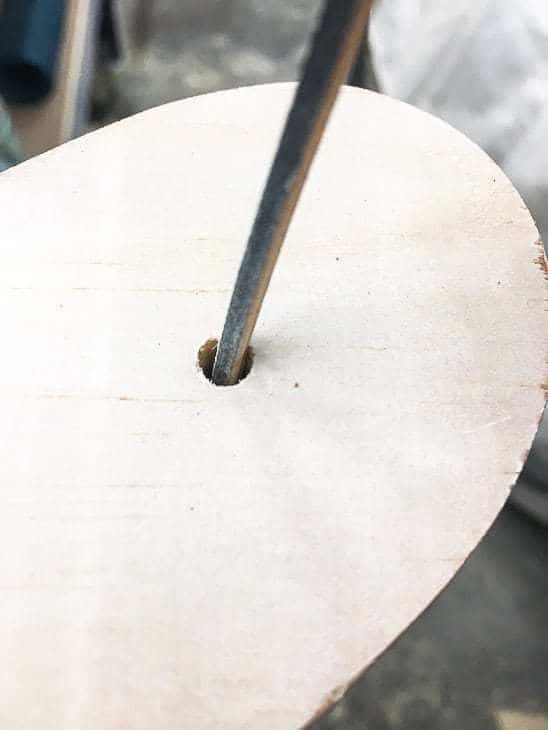 You can also sign up for my email list below and get the latest post delivered to your inbox each week, as well as access to my woodworking plans library! Vineta that is so cool! I love how it looks in the day and especially at night. Great project! This is really cute! I love the fun and funky vibe.. not as traditional as some lawn decorations! Love it! I love this cool and whimsical tree!! It is absolutely perfect! Oh my gosh this is so fabulous! !